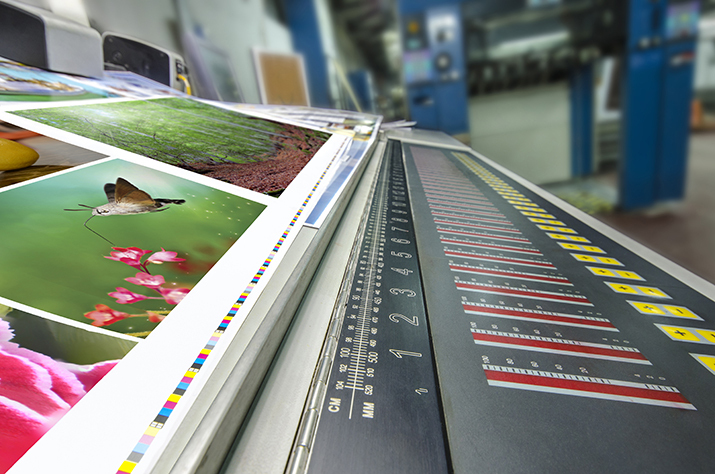 Sheahan Printing has a complete solution to your pre-press needs. We offer high resolution scanning with professional retouching and color correcting capabilities. Additionally, we offer color calibrated digital proofs, helping to shorten delivery schedules and save clients on costly corrections. Our output is imposed using the same ripped file as the digital proof, which guarantees file integrity, and is punched and plate ready to insure accurate registration at the press. Sheahan Printing has a broad range of press capabilities, with maximum sheet sizes ranging from 2 pages up to 8 pages up. This affords us the flexibility to appropriate your project to the right press and produce it with consideration to efficiencies, quality, and delivery. Our pressroom can handle the simplest one color project up to the most complex four-color project with additional spot colors and aqueous coating. Sheahan Printing offers a complete bindery department for finishing your product. Our bindery is equipped with multiple cutting and folding machines, saddle stitching capabilities, die-cutting, drilling, tabbing (wafer sealing), and shrink wrapping. We strive to perform all functions of our finishing in-house, assuring the highest quality and most reliable service. When you need very short runs or incredibly fast turnaround, digital printing offers solutions that were not previously possible. Sheahan Printing offers a full range of high quality, small-run digital printing solutions. Sheahan Printing is proud to be a union shop, capable of printing anything for your political campaign, from door hangers to handouts, postcards, flyers, mailers, posters, lawn signs and more. We are pleased to offer a new line of promotional premium products. We have a wide range of product categories and price points to cover everything from lower-cost tradeshow handouts up to executive corporate gifts. Our experienced staff can provide you with complete printing services from design to mail. Our prepress department and press capabilities provide you with the very best quality. The full bindery department, including saddlestitching and die-cutting, finishes your job to perfection. We offer the latest technologies including PDF workflow for digital and offset printing, and more.